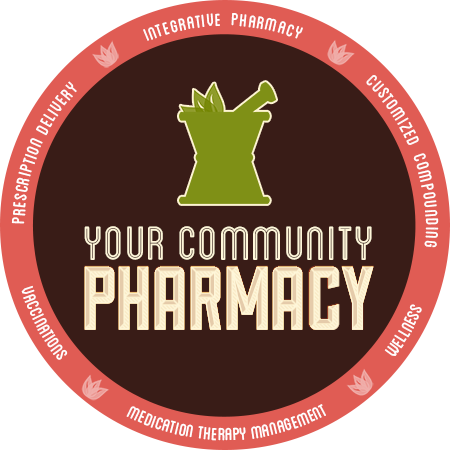 Your Community Pharmacy is an independently owned pharmacy with locations throughout the Louisville. 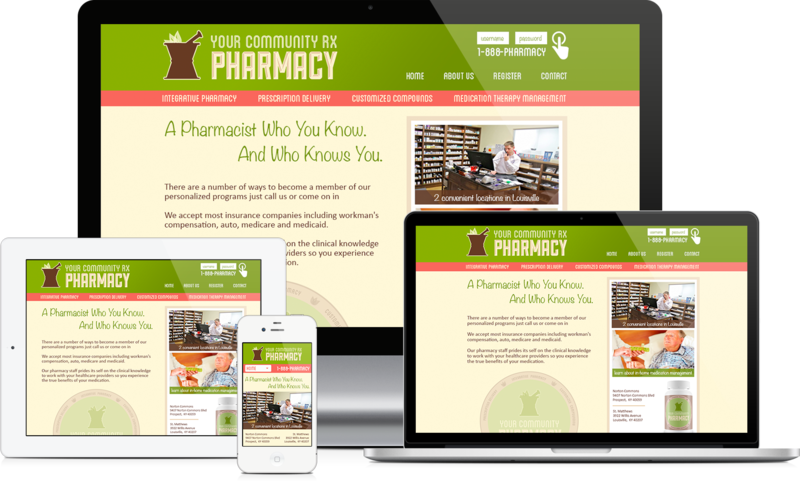 They offer a personal approach to both traditional prescription services and specialty pharmaceutical services like compounding. 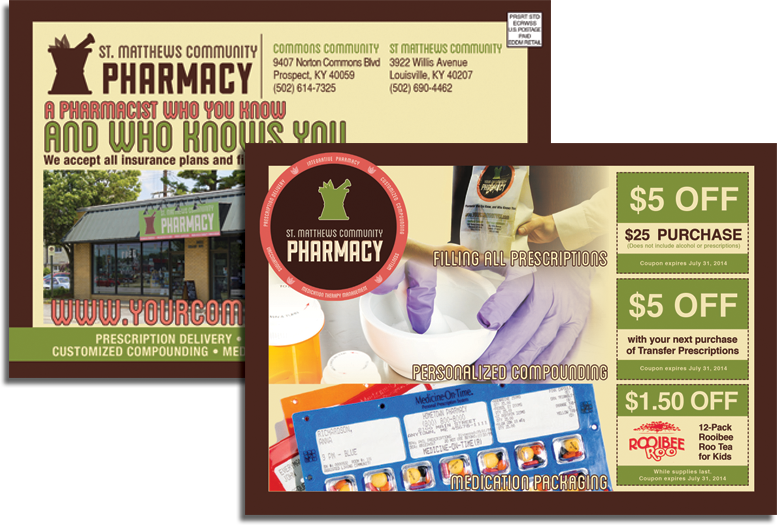 When they opened a new location they needed a new look. 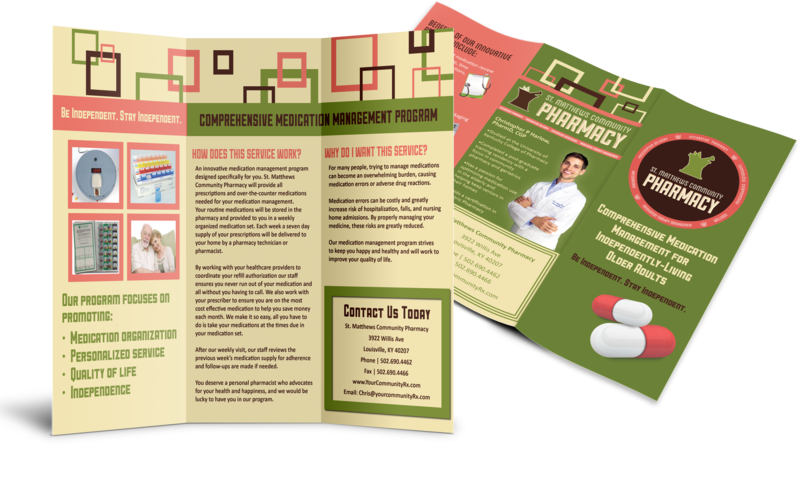 Previously they had tried to do all their marketing internally with little success and when they decided to open a new location they decided they wanted a new brand to go with their new pharmacy we designed a new website with an e-commerce component that allows them to serve patients nationwide, developed a new brand that better reflected their company’s personality and mission, we designed and printed new marketing materials, planned events and placed advertising spots. 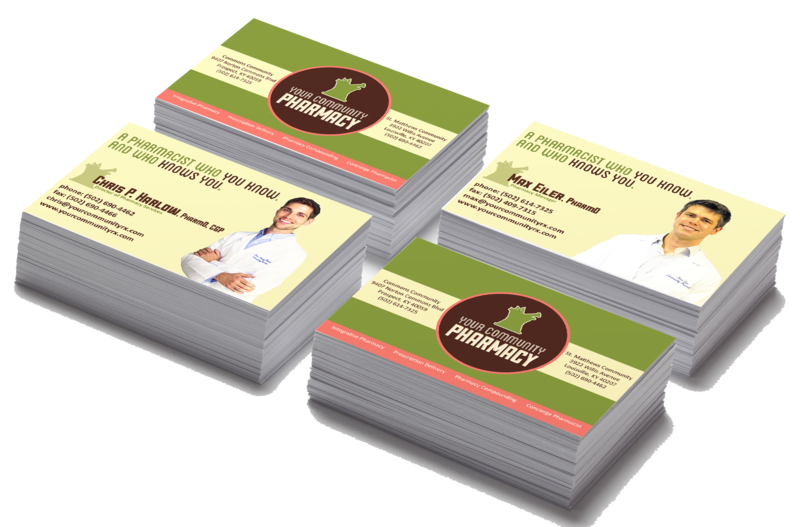 If your small business needs a new brand, new website, or help opening a new location call our office or send us an e-mail and we will get things started.